Now that you know the birth centers available in the Salt Lake area, here’s a list of birth centers in Utah County. As I said before, a birth center can be a wonderful option for families who know they’d rather not give birth in a hospital, but who might not want to deliver at home. We’re so lucky to have lots of great options here in Utah! *To help you navigate this list, here are some abbreviations that will come in handy. CNM stands for Certified Nurse-Midwife. CPM stands for Certified Professional Midwife. LDEM stands for Licensed Direct-Entry Midwife. Check out this post for more detailed explanations. The Better Birth team practices in both Utah County and Salt Lake County, with offices and birth suites in Orem and in Salt Lake City. This team of midwives consists of Trinette Thompson, CPM, LDEM, Suzanne Smith, CPM, LDEM, Harmony Maloney, CPM, LDEM, Katia L’Ecuyer, CPM, LDEM, and Danielle Demeter, CNM. Carrie Ann Kemp runs their offices, but is also a trained midwife and assists at births. If you choose this group, you will have a team of providers with you at your birth. 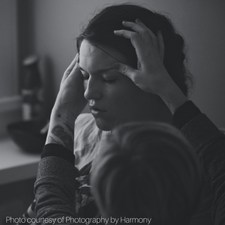 Birthing Your Way offers clients the choice of birthing at their birth center in Provo, their birth center in Lehi, or at home. Heather Shelley, CPM, LDEM, Leanne Bedell, CNM, and Virginia Schwerin, CPM, LM are the midwives on the team. They also offer well-woman care like pap smears, yearly exams, and contraceptive prescriptions. 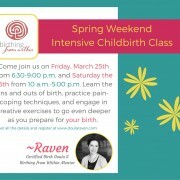 If you know of a birthing center that I’ve missed in Utah County, please leave a comment and let me know. Also, if you would like to birth at a birth center, there are some home birth midwives with birthing privileges at Better Birth and Birthing Your Way. 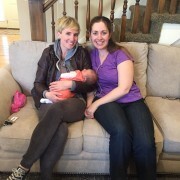 Contact either practice for a list of midwives that birth at their suites. 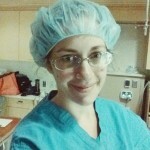 The midwives working at Birthing Your Way needs to be updated. Most of them no longer work there. Thank you, Hannah! I’ll get on that.